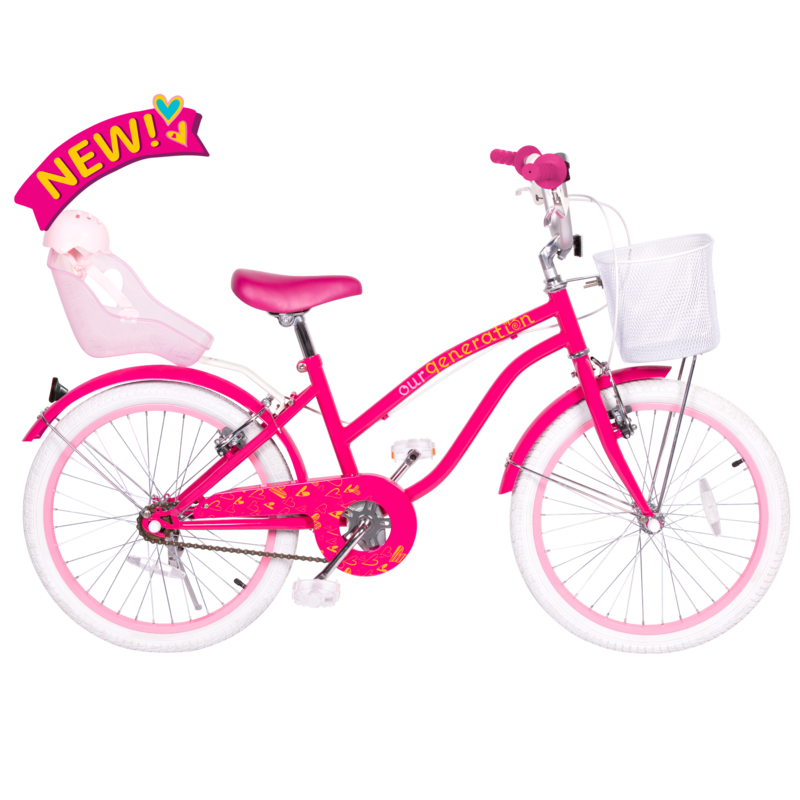 https://s3-ca-central-1.amazonaws.com/media.ogdolls/20190403182830/BD37433_Pet-Store-Set-all-components-NEW.png Category: House and Home. 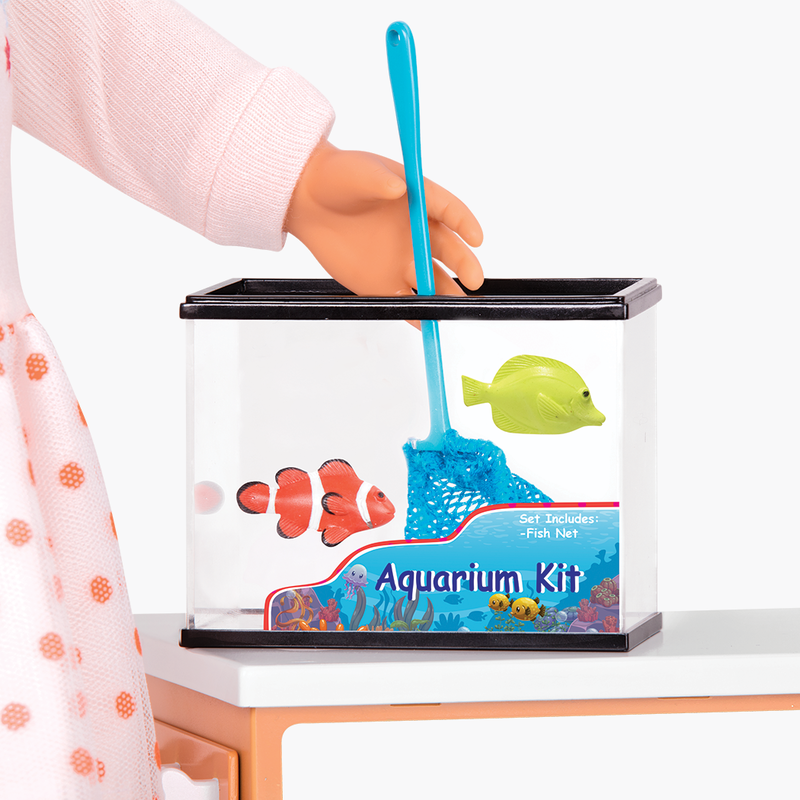 Start your own pet shop with these pet store supplies for 18-inch dolls! 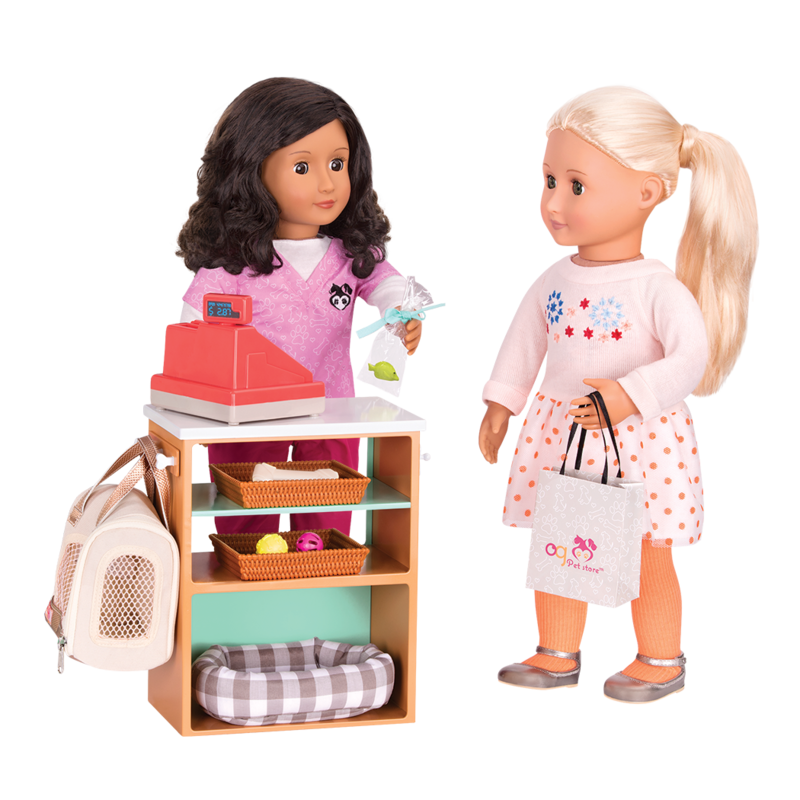 Help your dolls open up their own pet shop with the Our Generation Deluxe Pet Store Set for 18-inch Dolls! 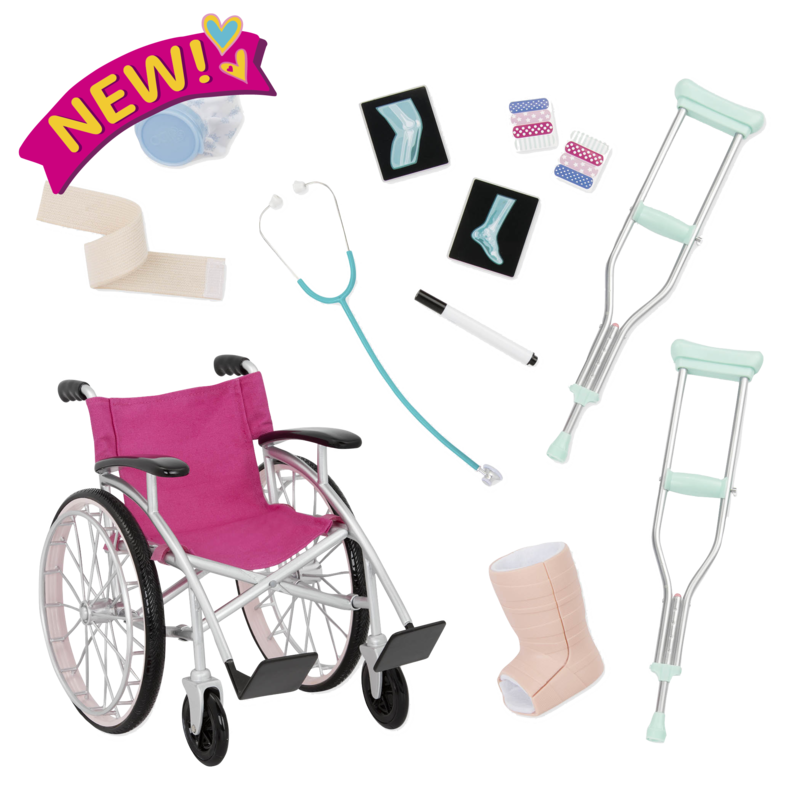 Filled with all kinds of adorable pet-themed accessories for dolls, this set will prepare your dolls to open for business! Use the set on its own, or pair it with the Healthy Paws Vet Clinic or the Pet Grooming Set for even more fun with your furry friends! We love our pet friends, whether they have fur, feathers, or fins! Set up the counter and place the cash register on top. Use the pretend wicker baskets to organize your products and display them on the shelves. Help your customers choose the right pet accessories from your selection, including an aquarium with fish and net, a gerbil or hamster cage with wheel, dog and cat food bowls and toys, and a pet bed and travel carrier bag. 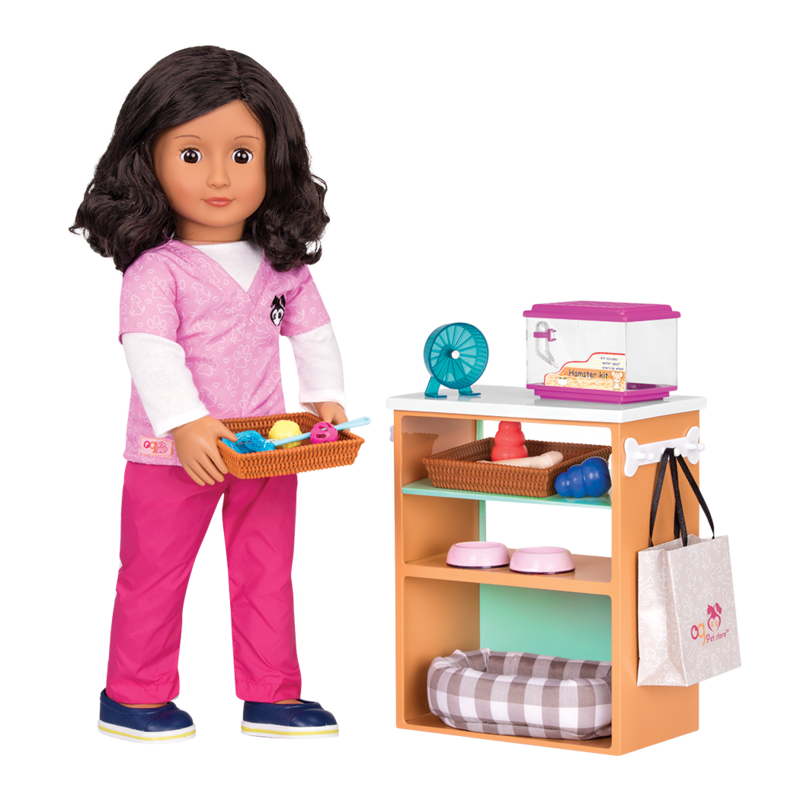 The pet shop counter for dolls is a great way to expand your doll’s veterinarian or pet grooming business! Meet Paloma, one of the dolls in the pictures of the Pet Store Set! Paloma is a veterinarian who loves taking care of animals at the Healthy Paws Vet Clinic! She set up a pet supply store in the lobby of the vet clinic so that her customers can stock up on everything they need when they bring their pets in for a check-up. 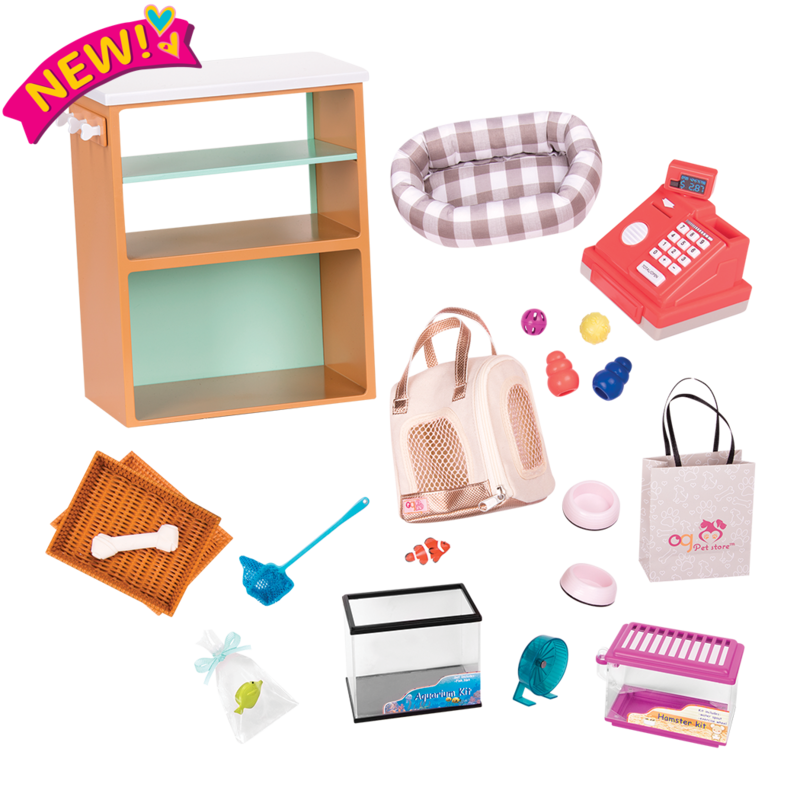 Another great business idea for your dolls is to combine your Pet Store Set with the Pet Grooming Set! Kids and dolls who love animals will enjoy helping pets look their best with all the great grooming supplies, and the Pet Store Set is a great addition to the grooming shop! 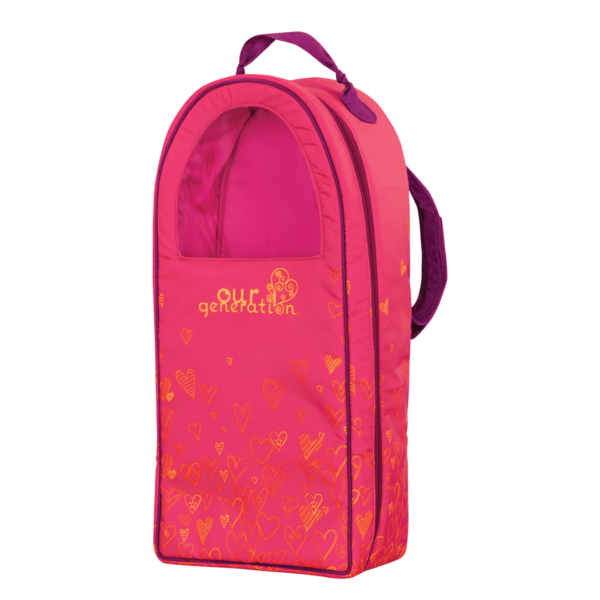 Includes shelf, cash register, and lots of pet store products for your dolls!